This portion of the code set poses unique challenges to organizations attempting to prepare its coders. With its sophisticated logic, reliance on clinical details, and ability to enhance research, some say that ICD-10-PCS will revolutionize the power of coding. Once coders become accustomed to its nuances, it becomes clear why the United States must make the transition from the antiquated ICD-9-CM procedural terminology to this new and more dynamic code set. However, ensuring that coders are comfortable with navigating the complexities of ICD-10-PCS has not been an easy task. Many coders aren't yet up to speed on PCS despite the fact that the clock is ticking toward the October 1 deadline. "I don't think coding professionals are anywhere near where they need to be," says Kim Charland, BA, RHIT, CCS, senior vice president of clinical innovation at Panacea Healthcare Solutions and cohost of ICD-10 Monitor's Talk Ten Tuesday. "Coders may have had basic education, but I don't think they've had the time to practice." Even organizations that have begun PCS training may feel as though they're in the dark regarding what steps they should be taking next. "There are estimates in terms of how much CM and PCS training is needed, but what do you do after that?" Charland asks. As the industry continues to venture toward ICD-10-CM/PCS, organizations must ensure coders will be ready. However, the big question is how. What has prevented coders from feeling comfortable with PCS? What needs to change in order to boost coder confidence going forward? Experts agree that having the ability to practice ICD-10-PCS is critical. However, aside from finding the time to practice, there also are other challenges. "Many of our clients feel as though they don't have the expertise to know whether they're coding PCS correctly," Charland says, adding that Panacea frequently works with organizations to provide coder feedback on records coded in ICD-10-CM/PCS. Coders need immediate feedback on their work as well as an onsite mentor or consultant who can provide guidance, says Lynn Kuehn, MS, RHIA, CCS-P, FAHIMA, CEO and founder of Kuehn Consulting, who adds that training must go beyond the basics to tackle difficult PCS applications. Although the need for more advanced training is slowly coming to light, she says ICD-10-PCS has been flying under the radar for quite some time, in part due to the numerous ICD-10-CM/PCS delays, but mostly because organizations don't fully understand the new system's effect on productivity and accuracy. "One of the challenges of the system is that there aren't any foolproof methods of knowing you've assigned the right code," Kuehn says. "Unless you follow the logic, you can convince yourself that you've got the right answer, and you don't." This makes it difficult to monitor data quality, she explains. Alternatively, coders can spend too much time second-guessing themselves and whether they've identified the correct PCS code. "That's when the productivity will drop," Kuehn says. Kuehn, who serves as an instructor in AHIMA's Advanced ICD-10-PCS Skills Workshop, an onsite three-day course offered twice per month in cities nationwide, and others have advocated for more advanced PCS coder training. "Even once you understand all of the definitions in the system, you need to understand the logic on which it's built," she says. "Training is fragmented and doesn't teach the true application of selecting the intent of the procedure. It's this next level of complex decision making that's missing." The root operation may be the most difficult aspect of ICD-10-PCS simply because physician documentation often won't correlate directly to the PCS definition. For example, take extirpation, a term physicians don't document. Instead, they'll opt for a clinical term such as thrombectomy. Coders must be able to recognize that this procedure, which involves taking or cutting out solid matter from a body part, is considered an extirpation in PCS terminology. However, it's also difficult for coders to decipher what's considered a body part in PCS. Much of the information is not intuitive, Kuehn says. For example, a physician removes bone marrow from a patient. In ICD-10-PCS, bone marrow is considered to be a body part, which means the proper root operation is extraction (ie, pulling or stripping out or off all or a portion of a body part by use of force). However, when a physician documents extraction of spinal fluid during a lumbar puncture, coders cannot report this root operation because spinal fluid is not considered a body part in PCS. Kuehn says there are many instances in which a physician will document a specific anatomical detail on which he or she performs a procedure. Although Appendix C in the ICD-10-PCS manual includes a body part key that maps anatomical terms to PCS descriptions, she says it's not exhaustive. As a result, many coders may need a refresher on anatomy and physiology. Kuehn says current PCS training generally doesn't provide the tools that coders need to research information. It also doesn't require coders to apply the important knowledge they've learned to complex medical record documentation. Even facilities using actual medical records to train coders may find that documentation is insufficient to assign the entire PCS code. For example, when coding bowel procedures, physicians must specify the portion of the bowel on which the procedure was performed. Charland says most physicians simply document "large" or "small." Likewise, when performing an amputation, physicians must document the specific portion of the leg that was amputated (ie, high, mid, or low) in addition to left vs right. Many organizations are seeking to incorporate laterality and anatomical specificity into query templates and prompts. In the meantime, coders have no choice but to assign unspecified codes or skip those records and move on to others that are more suitable for practice purposes. Where has coder training gone wrong, and how can the industry better prepare coders to tackle ICD-10-PCS in a live environment? "I don't think it's a matter of coder training gone wrong; I just don't think it has been complete," says Teri Jorwic, MPH, RHIA, CCS, CCS-P, FAHIMA, a clinical assistant professor at the University of Illinois at Chicago who recommends coders go beyond learning definitions and guidelines and start applying their knowledge to actual medical records. "It's not a matter of assigning a code; it's about building a code. You have to review the documentation very thoroughly, which, in truth, wasn't always done in ICD-9." Coders who have worked in ICD-9-CM for quite some time may need the most practice with ICD-10-PCS. Meanwhile, Jorwic says students to whom she has taught ICD-10-PCS enjoy the system and find it logical and easy to use. "When you're dealing with students who are coming in fresh, they don't have the background information of ICD-9-CM in their heads," she notes. "They also don't have anything to unlearn." Clinical documentation improvement (CDI) specialists and physicians also must do their part to ensure that documentation includes the details necessary for code assignment. It's about taking a comprehensive approach to ICD-10-CM/PCS readiness and not placing the burden solely on coders. Smart organizations will examine their EHR to improve documentation. 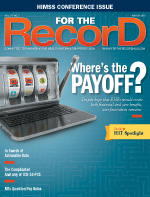 "With the age of electronic health records, facilities should be looking at their procedure templates to try and make those templates more user-friendly for ICD-10," Charland says. "If there are some simple prompts that can be given to the doctors without leading them, that would be helpful." CDI specialists, many of whom are unaccustomed to querying for procedures in general let alone in ICD-10-PCS, should be included in training programs. Charland says to focus this education on the differences between ICD-9-CM and ICD-10-PCS in terms of documentation requirements for various common procedures. If CDI specialists can master this information now, coders practicing how to apply PCS to current documentation will find the training to be more valuable. PCS education also must teach research skills. "The Internet is the coder's greatest tool, and you need to know where to look," says Kuehn, who recommends providing coders with references and links to reputable websites. It's also a good idea for coders to view animated education videos created by surgeons and device manufacturers. "If you can't visualize what the doctor is telling you in the operative report, it will be more challenging to code," she says. Although there are plenty of PCS training tools and scenarios available to coders, Kuehn says the Centers for Medicare & Medicaid Services' electronic PCS file may be the most helpful. "It's built so you can click on the section you want, then on the body system, then pick the root operation based on the logic of the system, and it takes you to the table," she says. "Then you select the rest of your characters. Once you are secure in your definitions, it's the fastest method to achieve a code." Kuehn says some training programs don't prioritize making PCS more manageable to understand and use. For example, instead of asking coders to select the correct root operation from among 31 options, coders must understand how those 31 root operations can be broken down into smaller groups for ease of selection. • procedures that define other objectives. "Rather than choose one of 31, you choose one of nine individual groups based on their characteristics and then you narrow it down within the group, picking the root operation that describes the intent of the procedure," Kuehn says. To help with the transition to ICD-10-PCS, some organizations have turned to computer-assisted coding (CAC). However, as with ICD-9-CM, CAC is only as accurate as the documentation on which it's based. Coders must verify all information generated by the CAC software, a task that certainly won't go away in ICD-10-PCS. Still, some question how accurate CAC will be in an ICD-10-CM/PCS environment. For example, a physician documents "removal of spleen." How will the software know to report a resection and not a removal? In PCS, removal refers to "taking out or off a device from a body part." "It's more than reading the words—you need to know the intent of the procedure," says Kuehn, adding that to work properly, CAC must rely on incredibly strong algorithms. June Bronnert, RHIA, CCS, CCS-P, director of terminology coding at Intelligent Medical Objects, says mapping clinician language to PCS is not easy. "I think this is because there are challenges related to mapping in general. They're not solely related to PCS," she says. Intelligent Medical Objects provides clinical terminology solutions that allow clinicians to select relevant procedure terms at the point of care that are subsequently mapped to CPT, HCPCS, ICD-9-CM, ICD-10-PCS, and SNOMED. Bronnert says interface terminology, CAC, and other solutions, which continue to evolve, will be necessary as organizations look for ways to increase efficiency. "We have to work through the technology, in my opinion, because the technology is here. We need to leverage it where we can, even if it is not always easy to do," she says. "It really does take human intervention to get there, but I think it's worth doing it to get there." As developers continue to fine-tune CAC and other software solutions, Charland says organizations should not ignore the robust ability of EHRs to perform data analytics. Identify insufficient documentation trends that affect PCS code assignment and use the information to educate physicians and refine query templates, she says. Abhishek Jacob, MD, director of business consulting at Edifecs, recommends organizations create their own forward and backward maps based on historical data trends. "GEMs [general equivalence mappings] are too generic," he says. "Focus on highly utilized codes and train coders through native coding of the chart in ICD-9 as well as in ICD-10. This will familiarize coders with the real-world challenges of coding in the ICD-10 world and also help pinpoint critical insight into documentation. Look for solutions that help quantify real-world risk during ICD-10 migration and ensure accurate code set mapping for posttransition analytics." Jorwic says smart coders will spend the time between now and October 1 practicing. Even if their organizations have not implemented a formal dual coding program, coders can continue to review documentation with ICD-10 in mind to determine how they would have coded the record under the new system. • Review root operations and PCS guidelines regularly. • Contact Coding Clinic with questions about how to apply PCS guidelines. • Bookmark reputable clinical websites to research diagnoses, procedures, and anatomy/physiology. • Create specialty-specific crosswalks that map the most frequently used procedure codes from ICD-9-CM to ICD-10-PCS. • Ask physicians to educate coders about procedure types. What equipment is typically used? What surgical approach is most common? What are the standard types of grafts or implants for certain procedures? • Network with peers. How are others preparing for ICD-10-PCS? What type of training has been most effective? Which resources have been most helpful? What have been the challenges and how have they been addressed?